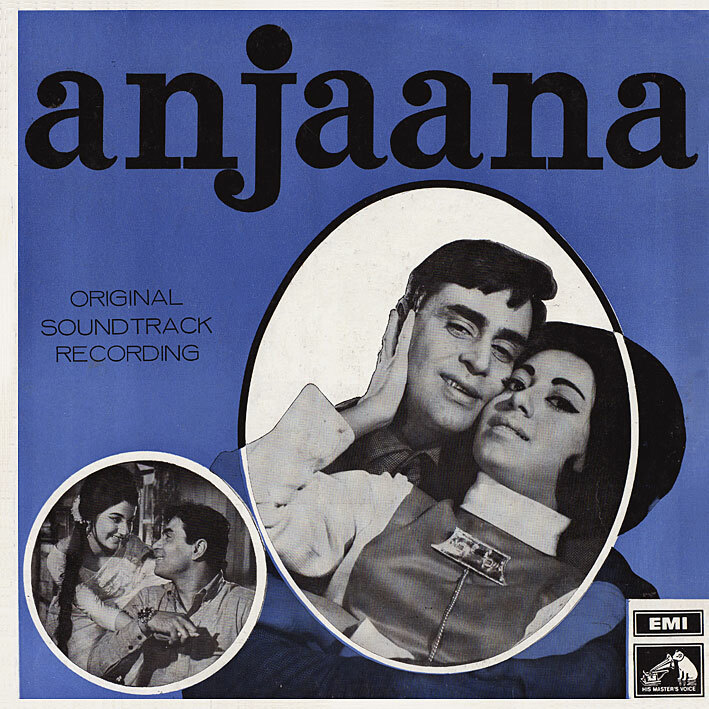 A somewhat nondescript Laxmikant Pyarelal score from 1970... 'Hum Baheno Ke Liye' and 'Rim Jhim Ke Geet' are pleasant enough tracks, 'Main Rahi Anjaana' is an OK upbeat number, but there's nothing in terms of really strong melodies or imaginative arrangments to make 'Anjaana' stand out. By the way, the bits with the alternating male/female dialogue on 'Woh Kaun Hai' reminds me of some other Bollywood song which annoyingly I can't place... anyone else hearing it? Thanks. It occurred to me to also thank you for giving me new inspiration for CD cover design - seeing all of these LP's from days gone by has been an inspiration! Thanks for this one, pc. Not too familiar with this movie but I remember hearing a few of these songs occasionally over the years. That "Woh Kaun Hai" track kind of reminds me of "Suno Kaho" from Aap Ki Kasam in the way the singers quickly go back and forth; I actually found myself substituting the lyrics while listening to that song. Someone who does not even understand the language, does it all for the love of music. No words to thank you. Everytime I visit your blog, so many good things rush through my brain. the language of music is universal. Your efforts in posting these has given me an opportunity to hear great music I may have never otherwise had a chance to discover. Unending thanks!